Size: 10 Tonne (10,000kg) of builders sand will usually cover about 150mÂ² (150m x 1m) at a depth of about 5cm. 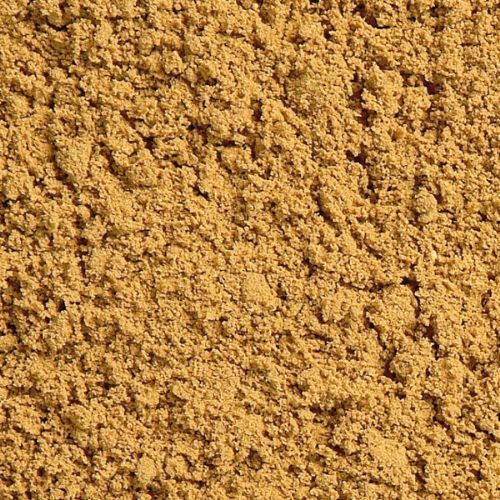 Builder Sand is a base aggregate product used for a variety of different uses. Its main use is for maintenance and construction work. Builder sand can also be called soft or orange sand in the industry. The reason for these other names is because the name builder sand is a general name in the trade and so the other names are so people dont confuse this type of sand of sharp sand. Builder sand is finer than normal sand and gives a smoother consistency when used in the building trade.Consists of: Builder sand consists of grains of different sizes which is an advantage as this prevents it from clumping together as much as some other sands do. Builder sand is often taken from the sea and can contain quite a lot of salt.Ideal For: The ideal use of Builder sand is in construction. It is very good for use under brick paving as it gives good drainage. It can also be mixed with cement to produce mortar. Builder sand can also be used with heavy soils in the garden for better drainage. Due to the fact that it contains a high amount of salt, it can be used as grit for roads in icy conditions.